This module allows you to synchronize your list of subscribers with SendGrid Marketing Campaign that allows you to send your newsletters in a professional manner. 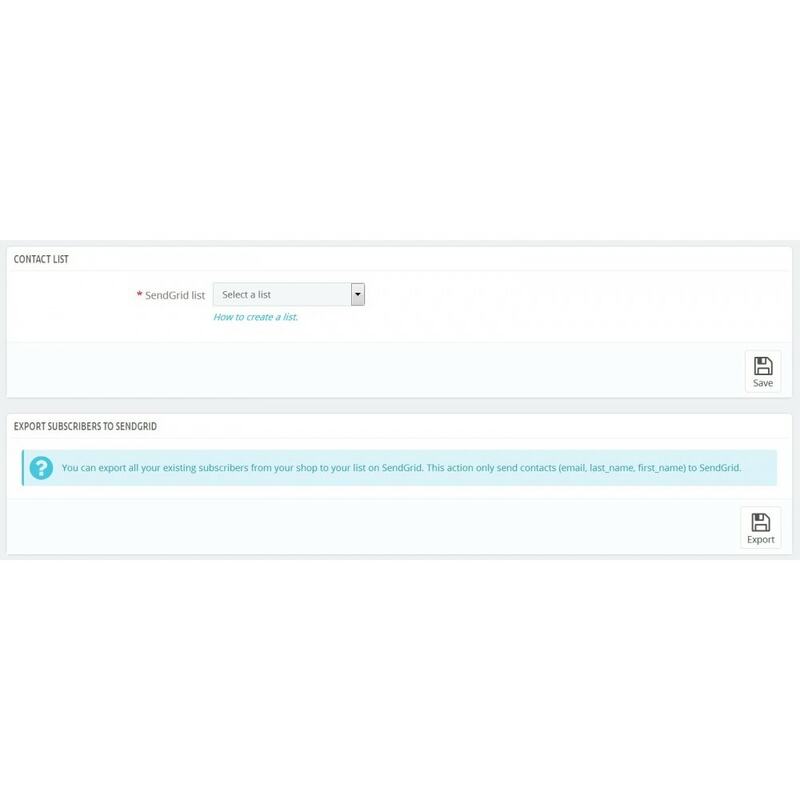 You can configure PrestaShop to send all your emails through SendGrid. 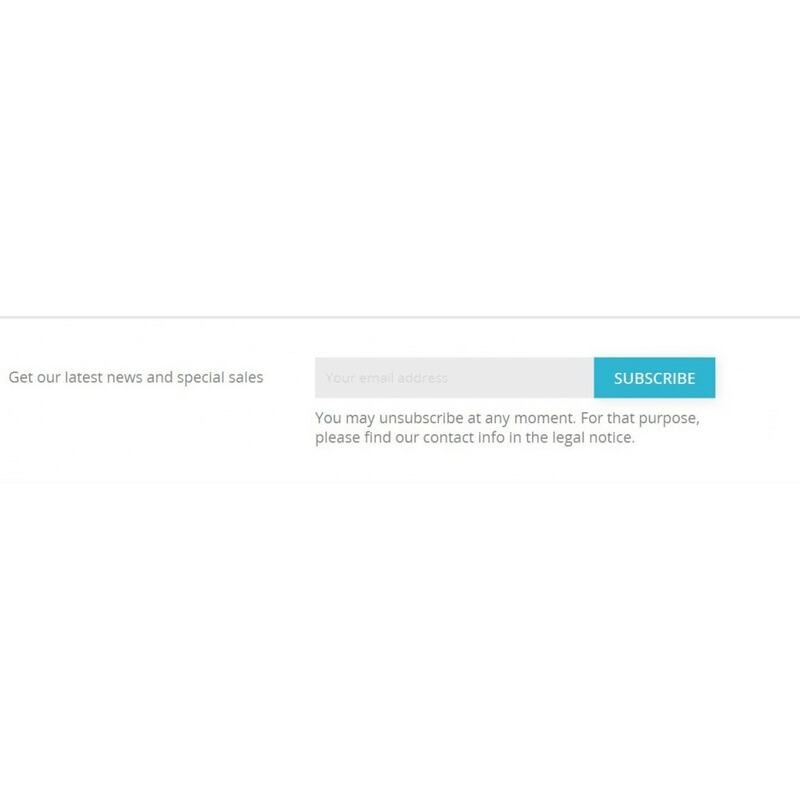 Automatically export your subscribers to the SendGrid Marketing Campaign list. Send all your PrestaShop emails through SendGrid. 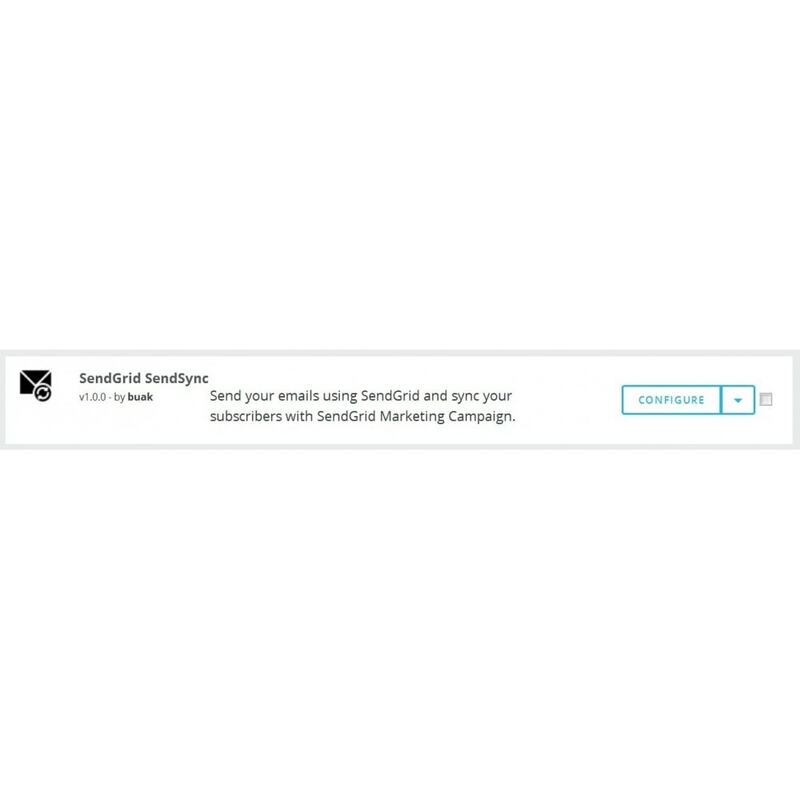 With SendGrid Marketing Campaigns, busy marketers can easily send beautiful, well-targeted email marketing campaigns. 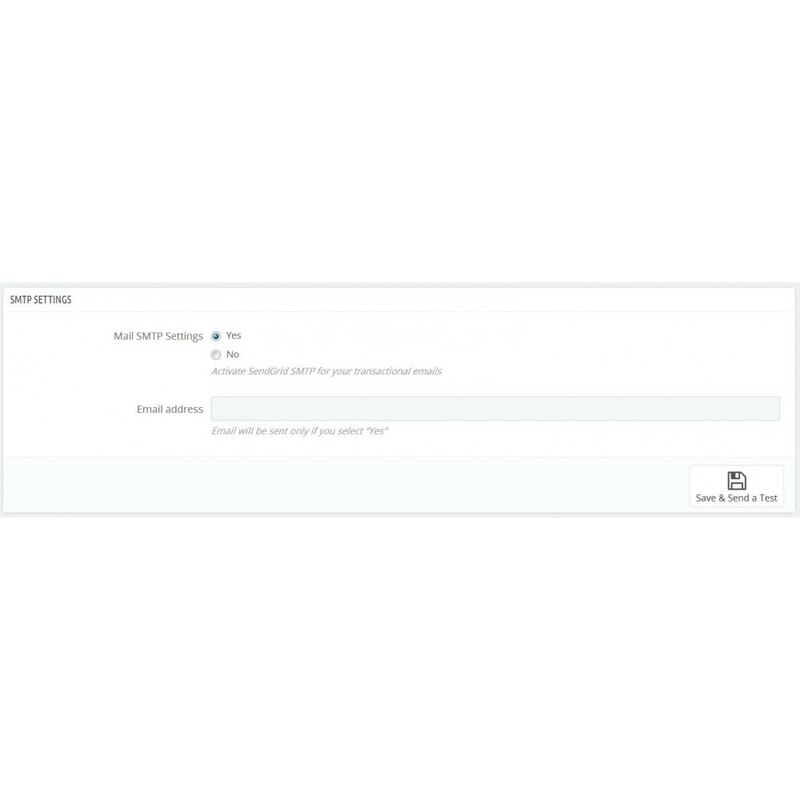 Synchronization PrestaShop-SendGrid: when subscribing in the newsletter block, when creating or editing a customer account. 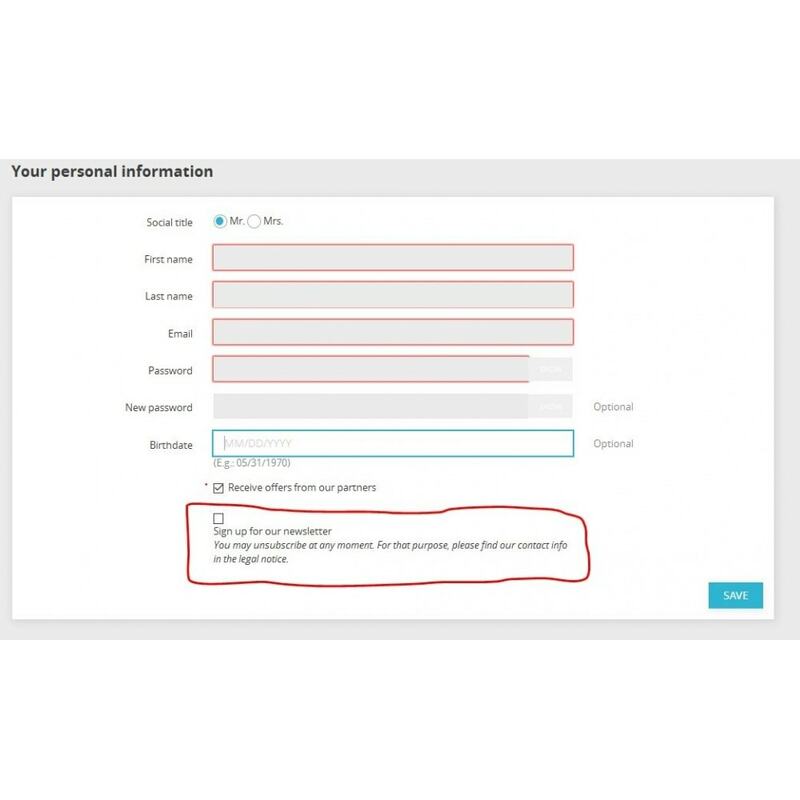 API Key need to have full access on permissions "Mail Send" and "Marketing Campaigns"